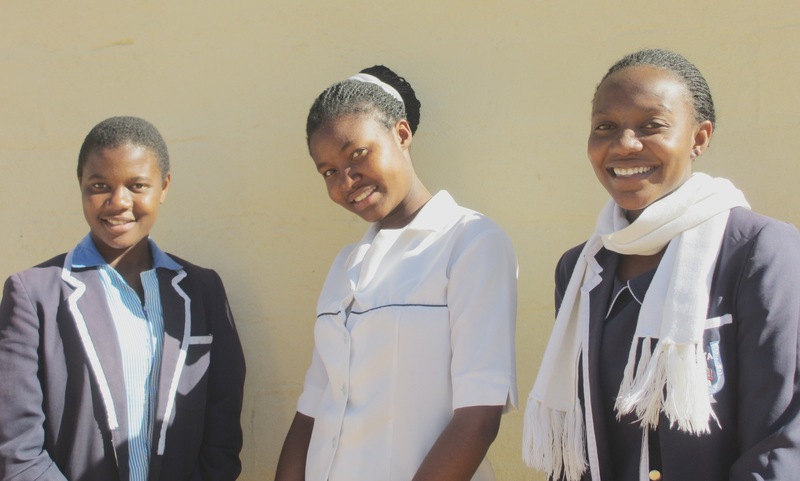 Over 700 students have been supported through secondary school by the Zimbabwe Secondary Bursary Fund, run by Zimbabwean Friends and supported by British Quakers for over fifty years. The need is huge – the scheme helps really promising students who would otherwise have to drop out after primary school. Friends of Hlekweni have taken over the British end of the scheme from Quaker Peace and Social Witness (QPSW), following something of a retrenchment by QPSW to focus on East Africa. In the school year January to December 2015, there were five students being supported by the Secondary Bursary Fund (three of whom are pictured above) and, in 2016, we are supporting twelve. They are selected locally by Zimbabwean Friends based in Bulawayo who carefully monitor the progress of each student on the scheme. The majority of students in Zimbabwe drop out of education at, or even before, the end of primary education usually not for lack of ability but simple poverty.